No one comes outright and says it but I believe there are definitely two eras in Enslaved history….. primarily Viking metal up until let’s say 1998’s “Blodhemn” and then a transition into much more diverse and progressive material after that. That’s where I remember the change happening or maybe it never did but that is where I perceive the shift occurred. No matter what they have always put out quality music even if it did not resonate with me as much as the earlier stuff. My own memories from listening to the “original era” material has always fogged my perception of the “newer era” stuff and I constantly compared one to the other. With their 14th (yes 14th) full length album entitled simply “E”, They made have made the album that for me has finally bridged the gap between the first and second era and completes the circle. The new album has 6 songs (although some versions have some bonus tracks) totaling approximately 49 minutes. The shortest track “The River’s Mouth” is just over 5 minutes with album opener “Storm Son” starting things with an 11-minute epic. I think the main reason this album has caught my attention is that it has an equal blend of the edgier material and progressive elements as one does not overwhelm the other. It is not overtly Viking as the older albums like “Frost” or “Eld” in the music department but there is Viking overture throughout via the lyrics. Original members Grutle and Ivar are still plugging away with “new” members Arve and Cato (both in the band 10+ years at this point) and have a recently joined keyboardist and vocalist in Håkon (from Ivar’s project with Wardruna’s Einar called Skuggsja). Speaking of Einar, he joins in vocally on closing track “Hiindsiight” which also features saxophone of all things…..not too much but enough to be slightly quirky. For those that prefer the proggier/trippier material there is enough of that with being reminded of some of the more recent Borknagar and Opeth releases. So 14 albums in and still creating killer stuff Enslaved is. Nice mix and overall sound to the album which sounds pretty much like any of the albums with maybe a slightly smoother overall vibe. 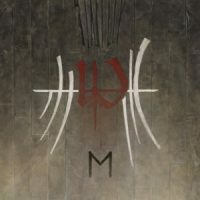 I think I can now go back and start listening to those last few albums now and appreciate them more with the release of “E”…..It would help me make better sense of how they got to this point which is another great album from Enslaved.